EXCLUSIVE AT NET-A-PORTER. Ancient Greek Sandals' 'Estia Flouria' sandals feature a row of swishy coins at the ankle decorated with the label's wingtip motif. 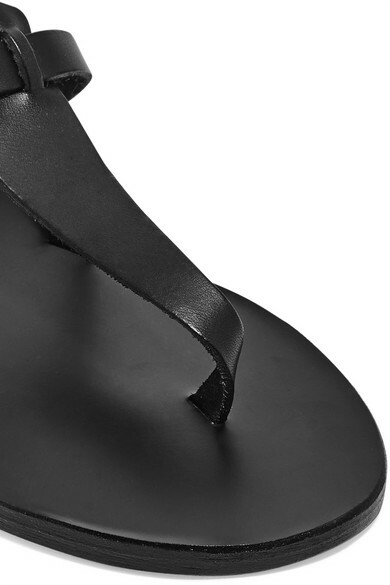 Handmade just for us from smooth black leather, they have a flattering T-bar shape and slight gripped heel. Wear yours with everything from midi dresses to jeans. Shown here with: Totême Dress, HEREU Tote.